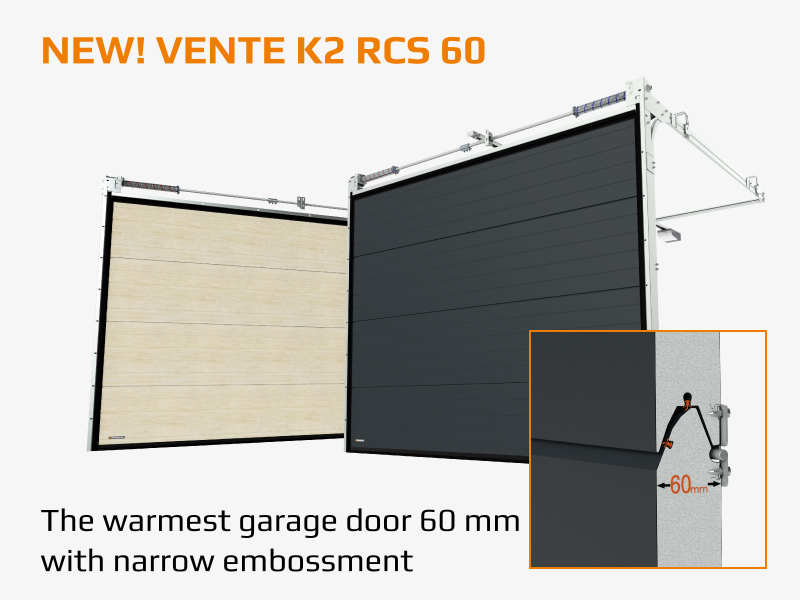 We are pleased to present you a new garage door: VENTE K2 RCS 60 based on profiles with narrow embossment and panel thickness of 60 mm. 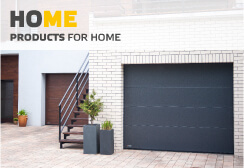 It is another product in our offer that meets the needs of low-energy houses, with heat transfer coefficient U=0.9 [W / m²K] for garage doors with dimensions of 5000 x 2500 mm. We have focused on a high level of tightness of the area protected by the gate. 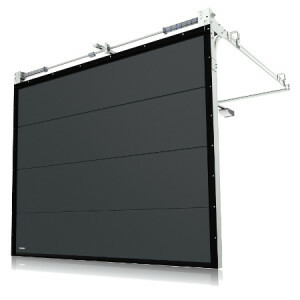 The garage door has a double sealing of the bottom panel, a double sealing between individual sections and z double peripheral lip-seal. All these elements are working for the best thermal insulation. 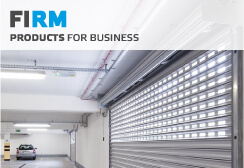 The door is available with three versions of guiding rails: low (for lintel height of 150 mm), standard (lintel height: 280 mm) and increased (lintel height: 350 mm). These options facilitate matching the door to garage design. 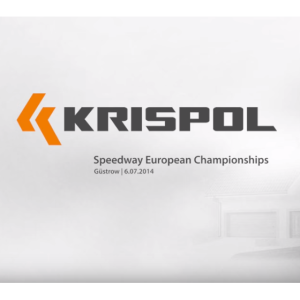 The door may be equipped with a number of accessories, including lock, handle, window insert (triple glazing), emergency stop and STARCUS automation control with a wide range of solutions – from simple drives to smartphone controlled KRISPOL EASY ACCESS. Impressive, narrow embossment on the door casing is an interesting and universal pattern, which is suitable for homes of various architectural styles. The big advantage of this embossment is an attractive price for the high quality of the door. Colours of VENTE K2 RCS 60 may be matched with the facade of the building and other elements of KRISPOL woodwork, using veneers available in dozens patterns more than 200 RAL colours. A veneer – Trawertin 3 – is a decor with the appearance of natural travertine, which adds lightness to the building and a Mediterranean touch.